Retail: All advertised new and used prices listed above are the exact price stated except for $1,000 Ford Motor Credit Bonus Cash in the event you do not qualify and finance with Ford Motor Credit. In that event, your price will be $1,000 higher. All advertised prices listed do not include any of the following incentives: trade-assistance, military, first responder, college graduate, or lease renewal rebates. Advertised new and used vehicles are all sold “as is” unless expressly stated differently on the window sticker or used car buyer’s guide. Advertised Price Excludes any Dealer Installed Accessories and or Dealers Market Adjustment. All vehicles are subject to prior sale. This advertisement expires on the listing date shown below. All business purchases and leases are excluded. Residency restrictions apply. Loan: To qualify for the loan terms and interest rate, you must be a 740 FICO score or higher and qualify at a Tier O or Tier 1 credit rating as determined by Ford Motor Credit. Terms on the loan are $14.06 per $1,000 borrowed based off of 4.79% APR for 84 months. In the event you do not qualify based off of your credit score or credit tier level from Ford Motor Credit and you finance outside of Ford Motor Credit, or if you pay cash, you will not receive $1,000 Ford Motor Credit Bonus Cash. Down payment listed above is excluding tax, licensing, doc, and government fees on a purchase. Cash down payment can range from 10%-60% depending on credit worthiness as determined by Ford Motor Credit. If you choose to finance through Ford Motor Credit, and your credit score is lower than 740, your payment and interest rate will go up depending on if you qualify for the Ford Motor Credit tiers 2, 3, 4, or 5. Each additional tier increase will increase your monthly payment per tier increase. When the credit tier increases, the interest rate increases as well. These credit tier rates are determined by Ford Motor Credit. All advertised prices and financing offers do not include any of the following listed incentives: trade-assistance, military, first responder, college graduate, or lease renewal rebates. On approved credit. 740 FICO score or higher required. All business purchases and leases are excluded. Residency restrictions apply. Lease: All leases are 36 months through Ford Motor Credit. Leases are based on $3,677 to start, plus a $645 acquisition fee, first monthly payment, and licensing fee. You must have a 740 FICO score or higher and must score a tier O or tier 1 as determined by Ford Motor Credit to qualify. In certain situations when a customer qualifies at the higher credit tier 2, 3, 4, or 5, your payment will increase as each tier increases. Bank tiers are created on a risk and loan to value ratio as determined by Ford Motor Credit. When the credit tiers are higher, the interest rate is more and will increase the payment as well. In some instances, additional down payment can lower the tier level by reducing the loan to value, therefore reducing the credit risk loss and lowering the interest rate as determined by Ford Motor Credit. This lease special does not allow for any trade-in negative equity unless you have additional down payment. In some cases, the individual customer may not qualify for a lease with Ford Motor Credit as determined by Ford Motor Credit. Ford Motor Credit leases are harder to qualify for because it is a “Red Carpet Lease”. In some instances, Ford Motor Credit may deny and or limit the total cap reduction displayed on this advertised lease special because of your FICO score, credit tier, or deal structure. You can lower your down payment to conform to the guidelines of the max cap reduction for your particular transaction. As you do that, you will add the amount you lowered your down payment by to your monthly payment. Because you are reducing your down payment and increasing your payment the exact amount, the net cost will be the same. All advertised lease specials listed on the specials page do not include any of the following listed incentives: trade-assistance, military, first responder, college graduate, or lease renewal rebates. None of these incentives are included in the lease offer above. On approved credit. 740 FICO score or higher required. All leases are based on 10,500 miles per year with an excess mileage penalty of $0.20 per mile. All business purchases and leases are excluded. Residency restrictions apply. **Advertised Price Excludes all Dealer Installed Accessories. 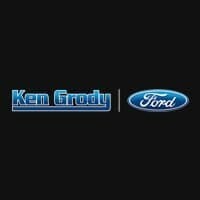 Ken Grody Ford Orange County	33.8712043, -117.9989611.